From humble Glasgow beginnings, Colin Campbell rose to become Scotlands finest general and a favourite of Queen Victoria. In his fifty-year career he fought through the Peninsula, the Crimea, China and India, and still found time to contain a slave revolt, a Chartist revolution and Irelands Tithe War. Through a combination of personal courage, compassionate leadership and genius for military strategy he became an idol for the men who served under him. This undisputed hero, whose memory has grown faint beside celebrated warriors of the Victorian age, was a soldier ahead of his time the first working-class field marshal, with strong humanitarian leanings and an instinct for harnessing the power of the press. 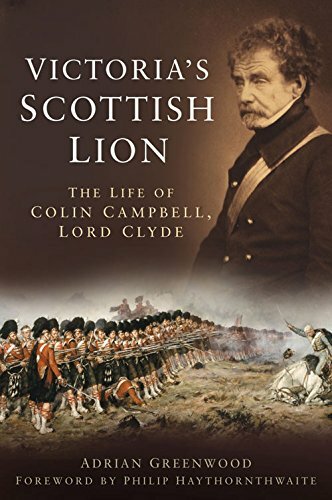 In the first major biography of Campbell since 1880 his career is radically reinterpreted and the life of this very private man is revealed. 'Victoria's Scottish Lion' has been shortlisted for The Society for Army Historical Research's 2015 Templar Prize.